Letters to the President #497: "The Survivor's Pledge"
On this Memorial Day, fallen troops will be remembered in Iraq, Afghanistan, and places all over the globe where Americans have served. And they will be noted too, in my daily letter to the president. Some years ago I was honored to attend a reunion of the survivors of the USS Arizona; that great warship destroyed in the sneak attack by the Japanese which inexorably drew our country into World War II. They were an impressive group. Good humored, largely successful in their lives after their service, and bound to each other by stark memories of a calamity that no Hollywood movie can ever match. I discovered among them a good measure of what some might call survivor’s guilt, but what these veterans might more likely refer to as simple respect for their fallen comrades. Many of them spoke with tender affection for all who were lost that day and how they have lived their lives since ever mindful of those missing souls; taking their challenges and rewards, victories and disappointments with a measure of wistfulness; knowing that, but for luck, fortitude, or providence, they too would have found a watery grave. I remind myself that they made a difficult choice to serve our nation, whatever their motivation at the time, and somehow it came down to a calamitous moment in which I am sure they might have preferred to be anywhere else; as the poet, Alan Seeger, an American who fought and died in World War I, noted in his famous poem, “God knows 'twere better to be deep pillowed in silk and scented down, where love throbs out in blissful sleep, pulse nigh to pulse, and breath to breath, where hushed awakenings are dear..” (I also, as an aside, read that poem “I Have a Rendezvous with Death,” virtually every Memorial Day. Presidents always mark the passing of Memorial Day, and I do too in my daily letter to the White House. Taps is, of course, one of the most powerful pieces of music in our culture today; played at countless funerals for retired and active members of military each year. Most times, in my experience, it is far more moving than any words that are said. You’ve probably heard the more or less official story of how it came to be; how a Union General named Butterfield in the Civil War worked with a bugler to refine some old existing tune into a proper horn call to signal the end of the day. The details are a shade murky, but then so are a lot of things that emerge from the din of battle. President Obama has had a relatively rough week. So have I, in my own way, but since I’m not a president, no one really notices. Ah well. At least I have my letters to the White House to keep me warm. I am playing chauffeur for a daughter's prom tonight, so I am writing this at a bar on the Georgetown waterfront where I am killing time until I pick the gang up from dinner. I've never really liked bars. I don't drink, and they are generally too noisy for conversation, but I figured this was a reasonable place to grab a meal and read a bit while I waited. I am working through The Sun Also Rises, and a steak that quite possibly came from a bull that chased Hemingway through the streets of Pamplona. I'm no food snob, but this is dreadful. Met a very nice couple from Ohio though, whose daughter just moved to town. That was nice. Ah well, I suppose I should not complain, not after the week that you’ve had. For so long, at least politically, it seemed like you could do no wrong, but this week it looked like you were dancing the DC Two Step with three left feet. Don't let it get you down. Everybody has bad streaks, and everyone makes a mistake now and then. That said, I was rather disappointed by the revelations about your failed maneuvers in the Pennsylvania Senate race; you know, having former President Clinton try to prod Joe Sestak out of the race so your pick, Arlen Specter, might win. We all know now that Sestak said no and went on to soundly whip your chosen candidate. 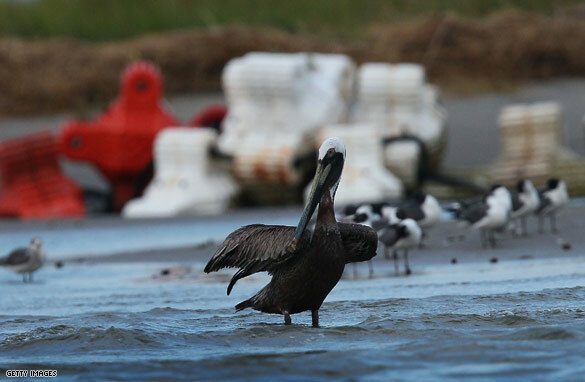 Tonight a Louisiana politician accuses BP of shipping in cleanup workers for Pres. Obama's visit and then letting them leave right after he did. We're keeping them honest. Plus, the death of child actor star Gary Coleman and more. 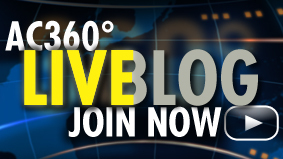 Evening Buzz: BP Shipped in Workers for Presidential Visit? 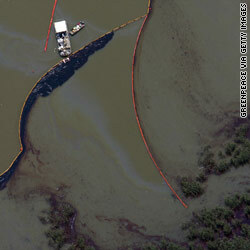 There are new accusations aimed at BP over oil spill cleanup efforts in Louisiana. Jefferson Parish Councilman Chris Roberts accuses the oil company of shipping workers to Grand Isle for Pres. Barack Obama's visit today and sending them away after the president left. "We have had very minimal cleanup crews", Roberts told CNN today about Grand Isle. "Maybe at best about 20 people working the beach. We just find it highly coincidental that on the day the president arrives that BP would move to mobilize considerable assets when that has not been the case for several weeks now," he added. Roberts said approximately 300 to 400 workers were at the location today. He'll be on the program tonight. At a news conference late this afternoon CNN's David Mattingly asked BP Chief Operating Officer Doug Suttles about the claim. We'll let you be the judge on whether BP is turning the spill into a PR stunt. We've asked BP to come on the program to respond. This morning they agreed, but tonight they aren’t returning our calls. The offer still stands. Anderson is reporting again tonight from the Gulf region. We'll have all the angles on Pres. Obama's visit today. Mr. Obama is facing criticism for bypassing some of the hardest hit areas and not staying longer to meet with the locals. But others are grateful he came. "We have a major catastrophe here, we appreciate him being here," Clyde Peregean told CNN's Ed Henry. There's also the impact this disaster is having on fishing communities along the Gulf. Fishing is a way of life and has been for generations. But for now that life has changed. Many boats aren't going out now. Tonight Anderson has an up close look at how the work still goes on for some without the boats. He followed crews as they pulled oysters from the water. The oysters have not been tainted by the oil. Some of their work continues, but they worry not for much longer. Join us for these reports and much more starting at 10 p.m. ET. See you then. White House Chief of Staff Rahm Emanuel looks on during a visit to the Old City yesterday in Jerusalem, Israel. On the Gulf of Mexico (CNN) - Ten miles off the coast of Louisiana, where the air tastes like gasoline and the ocean looks like brownie batter, Louisiana State University professor Ed Overton leans out of a fishing boat and dunks a small jar beneath the surface of the oil-covered water. "God, what a mess," he says under his breath, scooping up a canister of the oil that's been spilled into the Gulf of Mexico. Even though Overton has been studying oil spills for 30 years, he's not sure what he'll find in that sample. That's because, just below the surface, the scope and impact of one of the biggest environmental disasters in the history of the U.S. remains a mystery. And that terrifies some scientists. Letters to the President #494: You're in charge? Really? 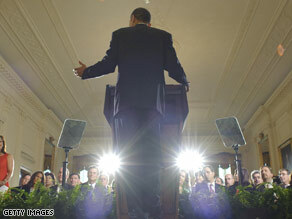 Reporter's Note: President Obama has suggested the federal government is effectively calling all the shots on the Gulf oil spill. But with more and more of those shots seemingly going astray…well, what is a faithful pen pal to do, but post yet another letter to the White House? Seriously? You’ve suggested that the federal government is calling the shots in the Gulf at the big oil spill, that we can all rest assured BP is acting only under the direct supervision of your administration, and you’ve clearly given the impression that you are personally engaged. But if any of that is the case, how is it possible that their big, fancy “top kill” procedure was stopped for 16 hours while apparently almost everyone… including your Coast Guard commandant…did not know? Again, I ask, seriously? Is it at your direction that the public is being kept in the dark? Does being “in charge” mean allowing a corporation that has already stumbled into a calamity to treat the public’s interest and concern as if it is something they can get around to addressing whenever they feel like it? Presidential power, in case you haven’t noticed, is driven in large part by perception. When any president allows circumstances to make him look weak, easily fooled or cowed, the country itself is undermined. It is not enough to simply say strong words. You must take strong actions. You need a team that delivers strong results. And there is simply no clear evidence that you have that in this crisis…at least not yet. I can’t explain how this is happening. I don’t know the inner-workings of it all. Maybe somehow you have a great, secret, don’t-pay-attention-to-that-man-behind-the-curtain solution to reveal in the 11th hour. But at the moment this I do know: Your response to this disaster is still looking inadequate at best, inconsequential at worst. Call me for advice if you need it, but frankly I can give it to you now quicker: Get down to the Gulf and stay there until you really are in charge…not just saying it.